Faulkner set most of his work in the fictional Yoknapatapwha County in Mississippi, which just happened to closely resemble his home county, Lafayette and his hometown, Oxford. Uploaded by biblioklept.wordpress.com. 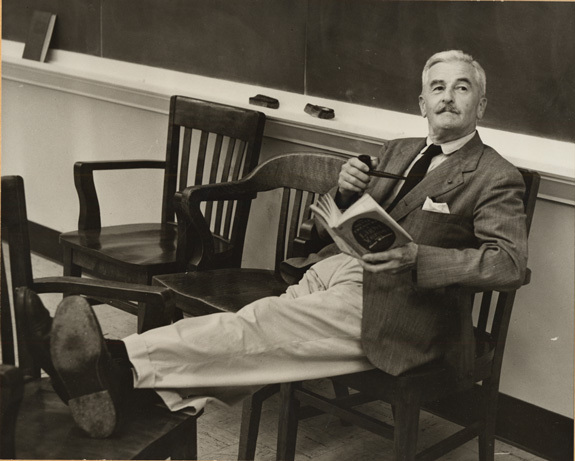 Probably the most celebrated Southern writer, William Faulkner produced 20 novels, more than a hundred short stories, and several volumes of poetry. He set most of his novels in Yoknapatapwha County, Mississippi, which closely paralleled his home in Oxford and the surrounding Lafayette County. Faulkner’s greatest work came during the period between the two World Wars. His output was influenced by a need for money, which also took him to Hollywood for a brief period at the invitation of Howard Hawks. There, Faulkner contributed to the screenplays of The Big Sleep and To Have and Have Not. 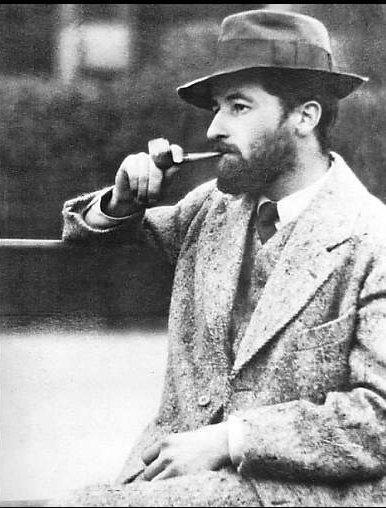 He produced some of his most famous novels during these years: The Sound and the Fury (1929), As I Lay Dying (1930), Sanctuary (1931), Light in August (1932), and Absalom, Absalom! (1936). Faulkner’s reputation was slow to build, but took a major boost when he was selected to receive the Nobel Prize for Literature in 1949. In addition, he won two Pulitzer Prizes (Great American Things, February 19, 2010) for A Fable (1955) and The Reivers (1962). He also won two National Book Awards for Collected Stories (1951) and A Fable. Not just a great Southern writer, Faulkner established himself among the pantheon of the greatest American novelists. Smithfield is in the middle of peanut country (Planters built its first mass production plant in neighboring Suffolk), and Smithfield hams are peanut-fed. Until recently, that was mandated by Virginia law. Uploaded by smithfield-virginia.com. Let’s start off by admitting that Smithfield Ham isn’t for everyone. These hams are dry salt-cured, slow hickory-smoked, and aged for six months to a year. 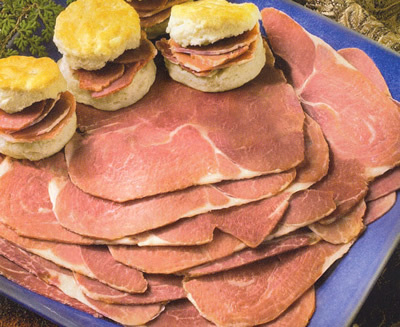 The result is a distinctive country ham that, when sliced thin and piled on, makes the absolute best ham biscuit you ever put in your mouth. As you might imagine, Smithfield, Virginia isn’t exactly a tourist destination. Unless you like shopping for pork products, that is. It’s down in Southeast Virginia, not far from Norfolk in the greater Hampton Roads region. 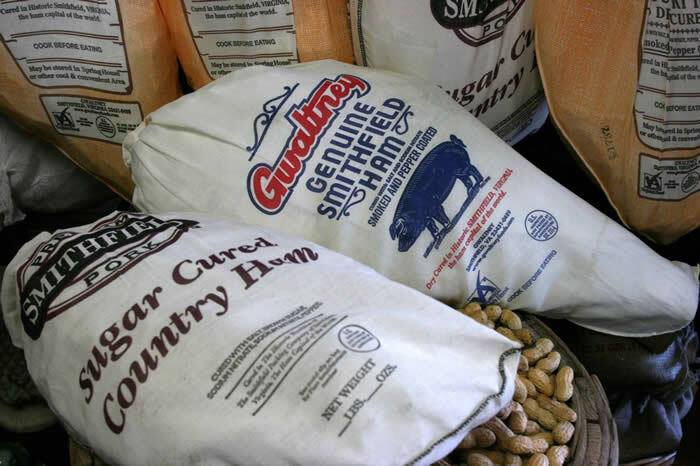 That’s peanut country, too (Planters built its first mass processing plant in neighboring Suffolk), and most of Smithfield’s hogs are peanut-fed, which was required by Virginia law until recently. Now, these aren’t mild hams. They’re salty and pungent, and they can take a bit of getting used to. But their unique flavor is highly prized, and to serve a genuine Smithfield ham is to demonstrate an appreciation for the finer things in life. 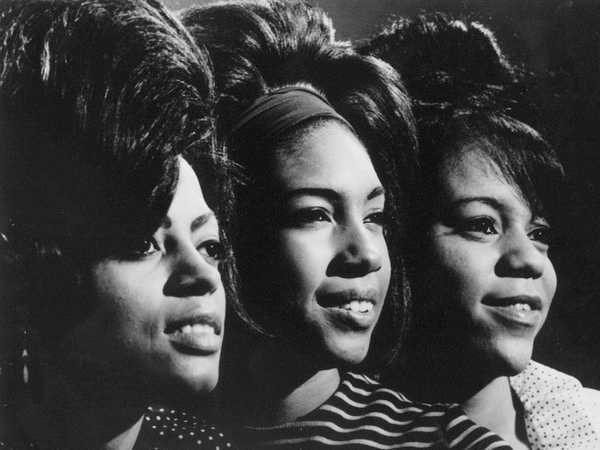 They were originally called the no-hit Supremes around Motown because their songs couldn't make the charts. Then came Where Did Our Love Go, and that was that. Uploaded by zoilus.com. Okay, this fact shocked me: The Supremes are America’s most successful vocal group. Not the Beach Boys. Not the Temptations. 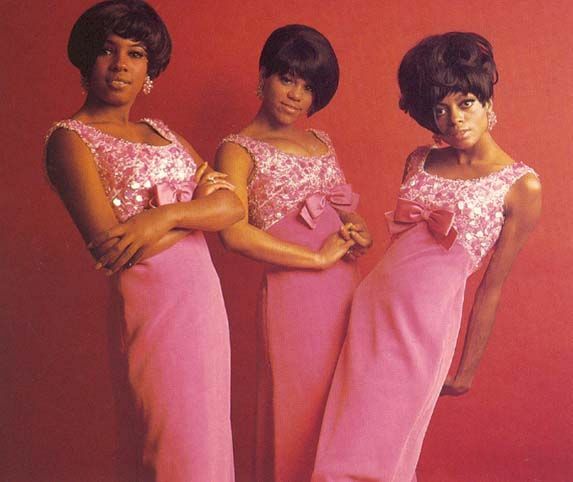 This “girl group” that was initially called the “no-hit Supremes” around Motown (Great American Things, August 9, 2010), because none of their first eight singles cracked the Top 40. Seeing his group struggling, Berry Gordy made an executive decision. No more sharing the lead vocals, Diana Ross would now be the primary singer. Shortly after that, “Where Did Our Love Go” became the first of twelve Supremes’ songs to make it to number 1 on the Billboard Hot 100 chart. The history of the Supremes is filled with drama. (See Dreamgirls, loosely based on the group.) There are romances, and alcohol abuse, and rampant ego stroking. Diana Ross eventually left the group to go solo, but that didn’t really affect the group as much as when the songwriting/producing team of Holland-Dozier-Holland (Great American Things, November 15, 2009) left Motown in a contract dispute. Still, the Supremes’ legacy is a lasting one of great pop/soul music. They’re in the Rock and Roll Hall of Fame, and three of their songs have been added to the Grammy Hall of Fame. It's actually a classic cat and mouse story, except Wile E. Coyote fancies himself a genius, and he always JUST MISSES his prey. Uploaded by thecartoonpictures.com. 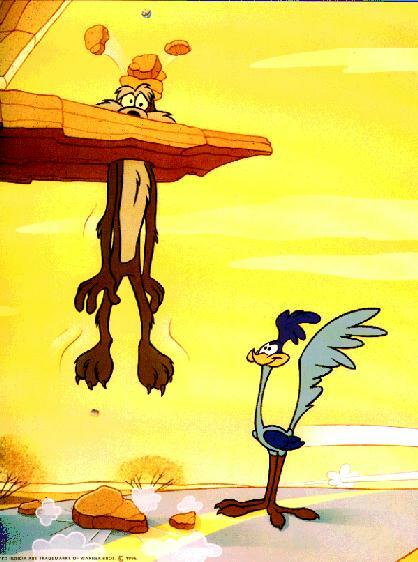 Poor, poor Wile E. Coyote. Never quite able to capture his prey. Many times he got close – oh so close, so tantalizingly close – only to hear “Beep Beep” (actually more like “Meep Meep”) and be left empty-handed. RR and Wile E. are creations of the great Chuck Jones for Warner Brothers. Wile E. would devise the most elaborate contraptions (often purchased from Acme Corp.), and would easily outsmart the poor Road Runner. Unfortunately, he would also outsmart himself. 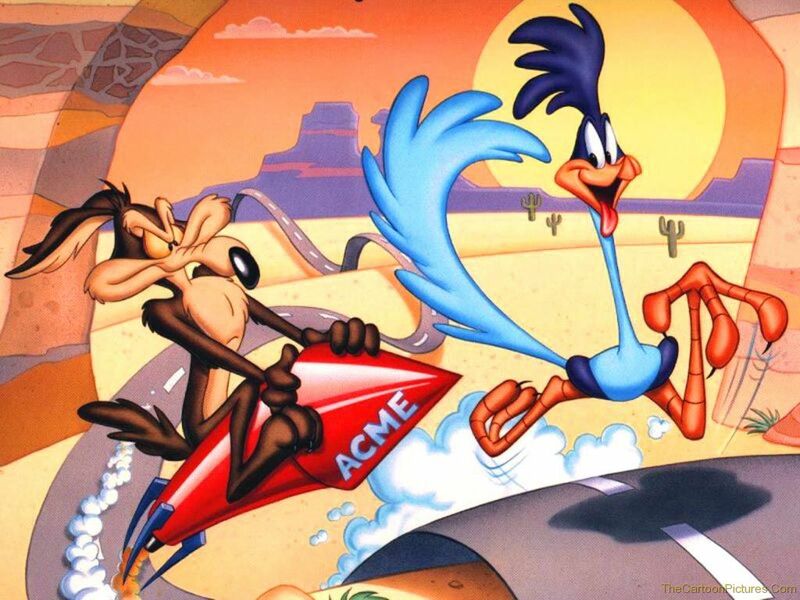 Road Runner became so popular that, out of all the Warner Brothers cartoon characters, the Saturday morning show had the title “The Bugs Bunny/Road Runner Hour.” While essentially a takeoff on the classic cat and mouse game, in Chuck Jones hands the characters became much more complicated – and more popular. Welles is honored here as a film director, but he was also an excellent screenwriter, actor, producer, and theater director. Uploaded by laudrey.wordpress.com. 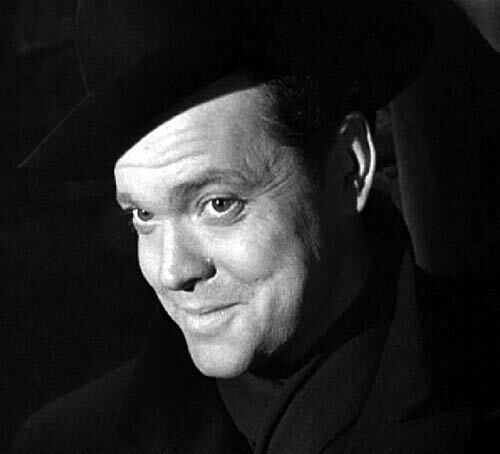 I celebrate Welles here as a director, because that’s the area I consider his greatest strength. But he was also a writer, actor, producer, and theater director. Welles got his start in theater, directing contemporary productions of Macbeth (in Haiti, with voodoo instead of witches) and Hamlet (in fascist Italy). When his group, the Mercury Theatre, produced a radio broadcast of H.G. 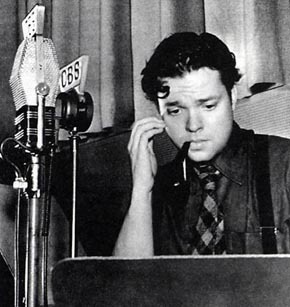 Wells The War of the Worlds, Welles gained instant notoriety. But it was his direction of Citizen Kane (Great American Things, July 27, 2009) that established Welles’s reputation as a visionary film director. He employed many techniques never before used on film – nonlinear narrative, wonderful varieties of light and shadow, extended scenes, deep-focus camera perspectives. It received nine Academy Award nominations, but took just one award – Best Original Screenplay. Even so, it’s often considered the best American film ever made. But Welles had two other masterpieces in him, though neither has had quite the acclaim of Citizen Kane. The first was his second film, The Magnificent Ambersons, released just one year after Kane. Notoriously strong-willed, Kane was eventually denied the final cut of the movie, which was shortened and given a happier ending than he wrote. Even so, it’s an excellent movie. And, following a bumpy couple of decades, Welles directed and co-starred with Charlton Heston in the 1958 film, Touch of Evil. Welles won an honorary Oscar in 1971 for “superlative artistry and versatility in the creation of motion pictures.” He also received Life Achievement Awards from the American Film Institute and from the Directors Guild of America. Ask anyone to name the first Billy Joel song that comes to mind, and chances are they'll say Piano Man. Yet it only reached number 25 on the top 100 chart. Uploaded by livemusiciancentral.com. 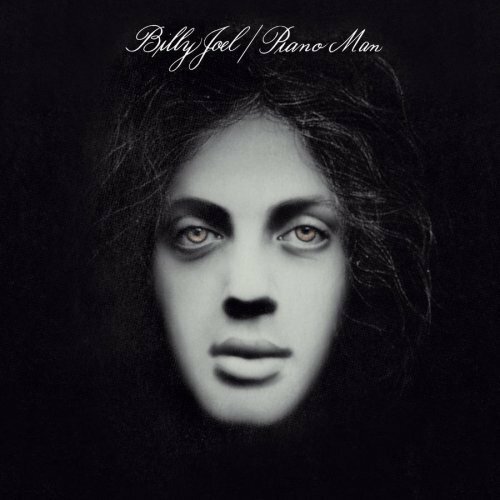 Despite Billy Joel’s long and successful career, his numerous top ten hits and best-selling albums, if you’re asked to think of one of his songs the first that usually comes to mind is “Piano Man.” It peaked at number 25 on the Billboard Top 100. But it really is a great song. Joel had recorded an album that tanked, and was trying to get out of his contract to sign with Columbia Records. In the meantime, he took a job as a bar singer, and “Piano Man” came from that experience. Joel says all the characters in the song (John the bartender, Paul the real estate novelist, Davy in the Navy, and the waitress practicing politics) are all based either on bar patrons or on people he knew. 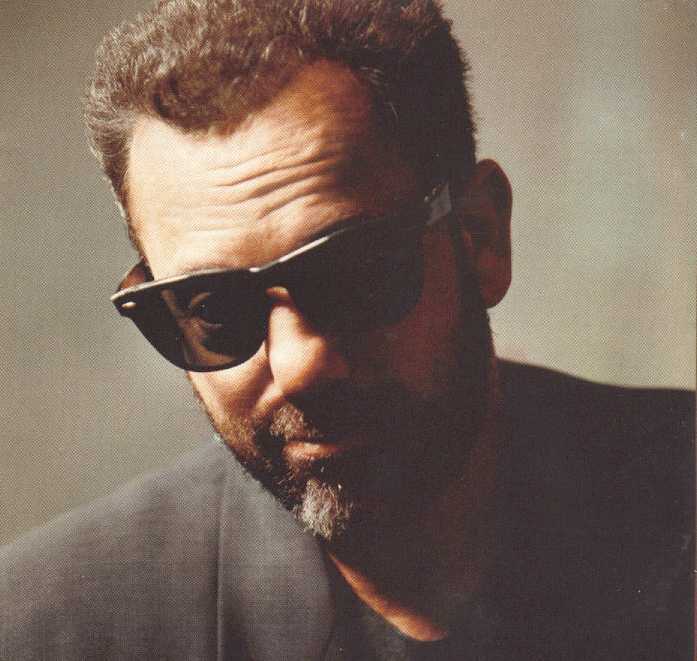 The song was featured on Joel’s first album for Columbia, appropriately titled Piano Man. It made the list of Rolling Stone’s 500 Greatest Songs of All Time… at number 421. Man, what are you doing here? 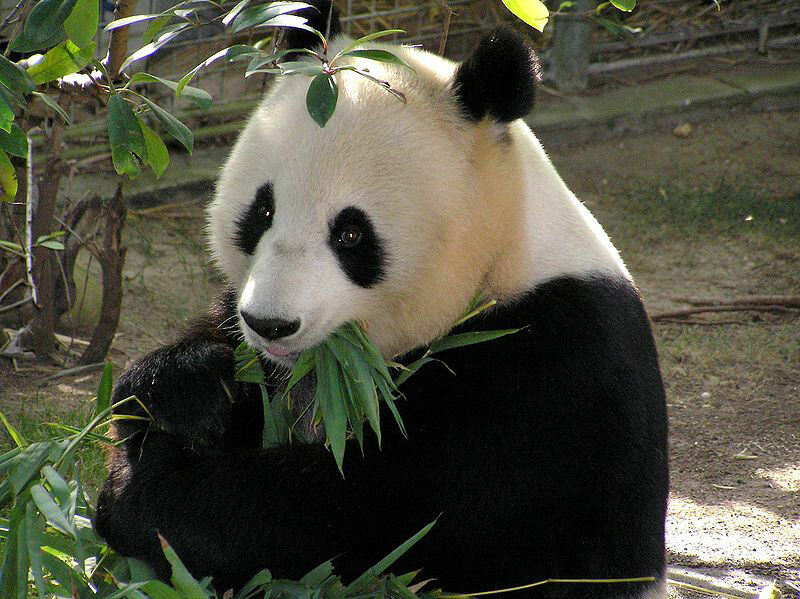 Panda Canyon is one of nine animal zones at the San Diego Zoo, featuring more than 4,000 animals and 800 species. Uploaded by ucsd.edu. Living on the East Coast, my initial exposure to the San Diego Zoo has been through Joan Embery, bringing exotic animals to the Tonight Show with Johnny Carson (Great American Things, June 28, 2009). Something would crawl on Carson’s shoulder, maybe nip his hand, and Carson would have that look. But I digress. 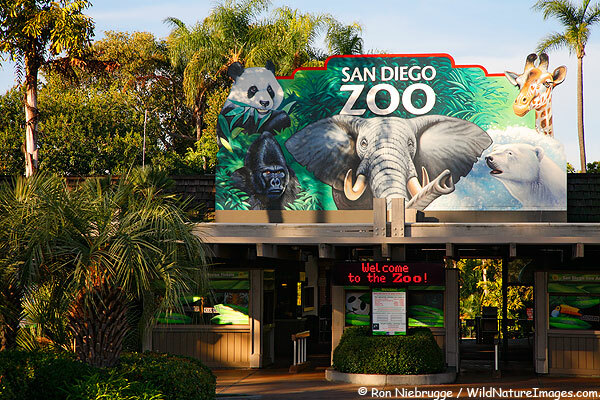 The San Diego Zoo has more than 4,000 animals of 800 species on its sprawling, beautiful parkland. A good way to get an overview of the zoo is by gondola…then you can take a bus tour that covers 75% of the park. Photo by ron niebrugge, uploaded by wildnatureimages.com. Once you’re ready to see more, the zoo is divided into nine animal zones. They are: Polar Rim (polar bears, reindeer), Panda Canyon, Asian Passage (lion-tailed macaques and Bornean sun bears), Elephant Odyssey, Urban Jungle (giraffes), Africa Rocks (big cats, meerkats), Outback (camels, koalas, wombats), Lost Forest (monkeys, hippos), and Discovery Outpost (children’s zoo, giant tortoises). Of course, that just scratches the surface of the exotic, interesting, and rare animals found at the zoo. You’ll also see extensive native plant life, large aviaries, and almost all the exhibits are in the open air, not in buildings. And the warm, sunny climate of San Diego helps many of the animals thrive. And who knows…you may just run into Joan Embery her ownself. The New York Daily News and ESPN both named The Natural as the sixth-best sports movie of all time. Uploaded by robertedwardauctions.com. 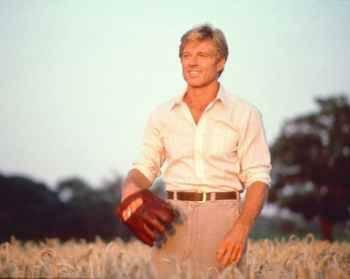 Robert Redford was at his best as Roy Hobbs, the “natural” baseball player whose career was changed forever by an encounter with a deranged fan. Years go by, and Hobbs finally gets a second chance at the big leagues. The movie is told almost as myth, with supernatural elements in many scenes. As a boy, Hobbs carved a bat from a branch of a tree split by lightning. He carves a lightning bolt into it, and calls it “Wonderboy.” There’s a wonderful scene in which Hobbs, as a pitcher, strikes out “The Whammer,” an obvious doppelganger for Babe Ruth. 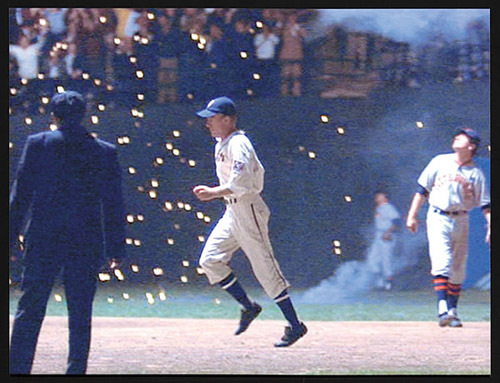 And the final scene is over the top as a badly hurt Hobbs hits a home run to win the pennant as lightning flashes in the sky. The Natural was directed by Barry Levinson, a director who was hot in the 1980s (Diner, Tin Men, Rain Man, Good Morning, Vietnam). It had an excellent cast, featuring Glenn Close (Academy Award nomination), Barbara Hershey, Wilford Brimley, Robert Duvall (Great American Things, August 21, 2009), and Darren McGavin. Both the New York Daily News and ESPN named The Natural as the number 6 sports movie of all time. It takes 40 gallons of sap from the maple tree to make one gallon of syrup. Even so, Vermont produces 920,000 gallons of the yummy stuff each year. Photo by Stephen Hamilton, uploaded by foodporndaily.com. It’s a Saturday morning, and you’ve awakened with visions of pancakes in your head. 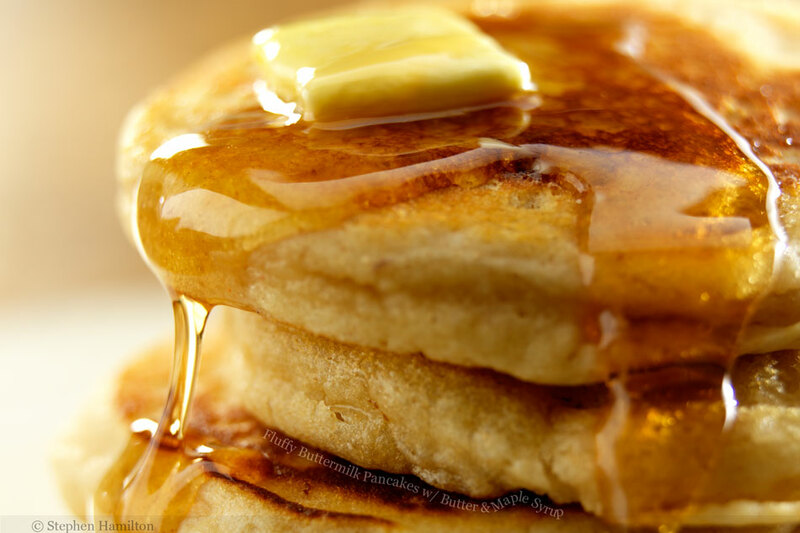 Doesn’t take that long to prepare the batter, doesn’t take long to cook, and then comes the best part – butter and syrup. That’s right, I said butter. Your body can take one pat of butter a week, you won’t die. 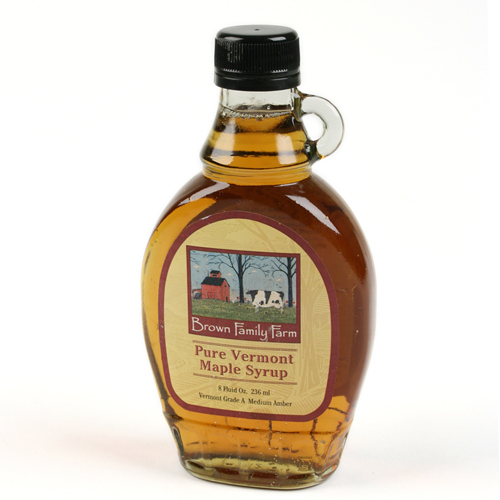 The national brands are fine, but nothing beats the taste and richness of pure Vermont maple syrup. Syrup is produced in other places in the USA and in Canada, but there’s something about the climate in Vermont that has made its product the golden standard. First, the maple trees are there. Seems silly, but it takes 30-50 years for a tree to grow the height necessary to produce enough sap. Then, it takes about 40 gallons of sap to produce one gallon of syrup. Makes you appreciate those pancakes more now, doesn’t it? Even so, Vermont produces 920,000 gallons of the stuff a year – more than twice as much as the next largest state (Maine). So enjoy your syrup, enjoy your pancakes, and give a mental tip of the hat to the farmers up in Vermont. They’ve certainly earned it. 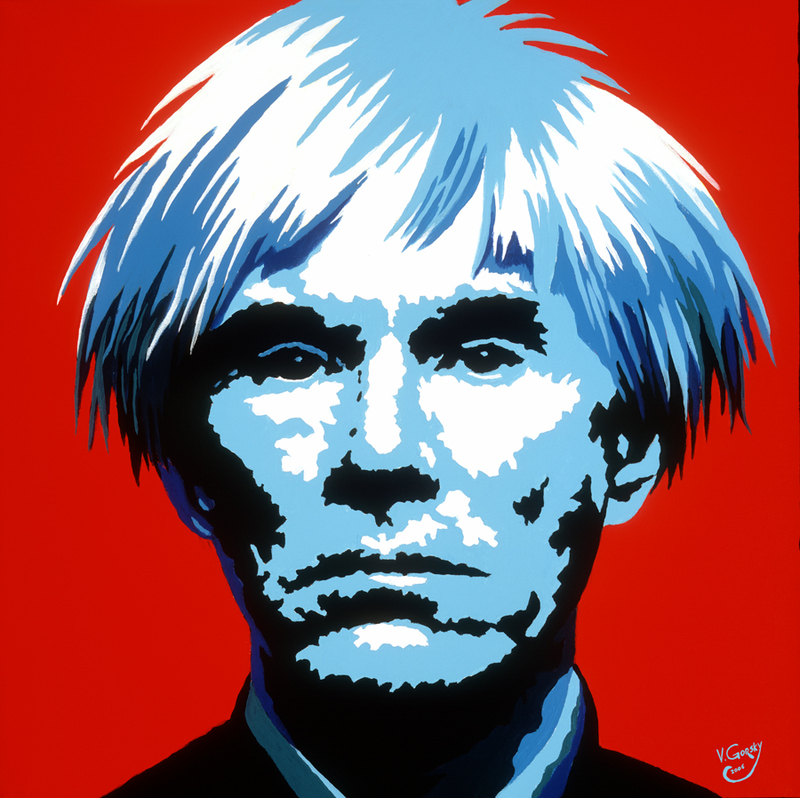 Andy Warhol recognized the commercialization of the culture in the 60s, and helped create the Pop Art movement in response. This painting by Vladimir Gorsky imitates Warhol’s style. Uploaded by loganfinearts.com. I don’t think Andy Warhol would like being remembered as “The Campbell’s Soup Can Guy.” Or the guy who said that everyone would have 15 minutes of fame. He was involved in so many things – painter, avant-garde filmmaker, record producer, author. 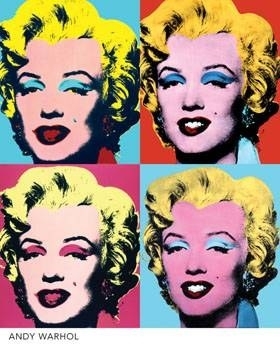 But more than anything, Andy Warhol was one of the first people to realize the power of celebrity. He was a leader in the pop art movement that sprang up in the 1960s as a reaction to the increased commercialization of the culture. Warhol saw it first-hand as a successful commercial illustrator. His iconic image of the soup can is memorable, as are the portraits of celebrities such as Marilyn Monroe. I think he was a brilliant man who bought into his own hype. But the marketplace may disagree. Warhol’s painting “Eight Elvises” sold for $100 million. I think that would have struck Andy Warhol as just hilarious. Crazy was named the number 85 song in Rolling Stone's list of the 500 Greatest songs of All Time. Uploaded by blogs.rtve.es. Hugh Nelson wrote this song in 1961 for a country singer named Billy Walker. Two good things then happened. Hugh decided he’d prefer to be known as “Willie,” and Billy Walker turned down this song. 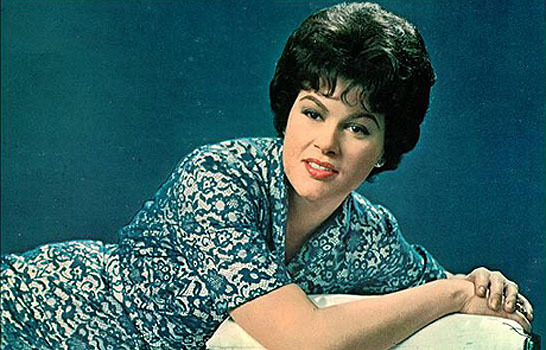 He faded into obscurity, and up-and-comer Patsy Cline (Great American Things, November 26, 2009) released it as her single to follow “I Go to Pieces.” It became a top 10 hit on both the country and pop charts. The story is that Nelson did a demo of the song with a faster tempo, and some of the lyrics spoken. 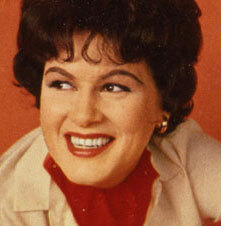 Patsy Cline hated it. Fortunately for music posterity, her producer did a new arrangement of the song as a ballad. Cline: Good. America: Awesome. “Crazy” was chosen the number 85 song in Rolling Stone’s list of the 500 Greatest Songs of All Time. 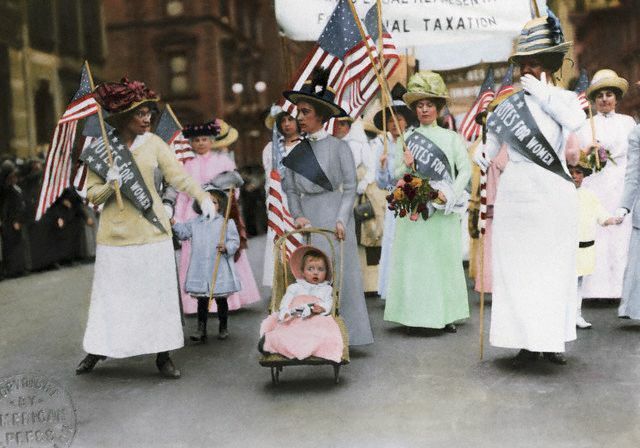 Women used rallies, parades, civil disobedience - whatever it took to get attention - in their efforts to gain the right to vote. This rally was in NYC in 1912. Uploaded by staff.harrisonburg.k12.va.us. 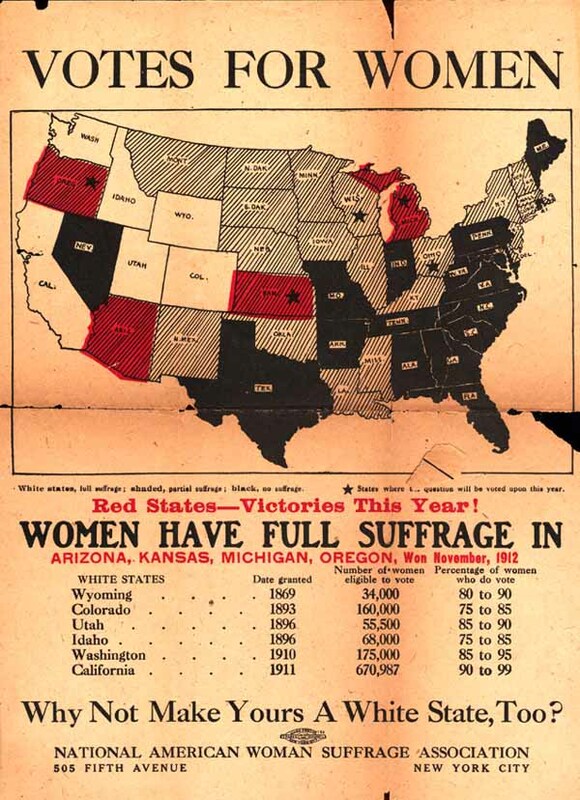 The people of the time were adamant – women couldn’t be given the right to vote. And why couldn’t they? Well, went the (masculine) reasoning, women are so frail, and may not even be able to handle the arduous task of getting to the polls. And they’re prone to hysteria, how could they possibly make rational choices? Not to mention how unqualified they are, how given to reaching rash or emotional conclusions. Fortunately, there were strong women (and men) who saw through these and the other arguments that now seem bigoted. The movement began before the Civil War, and many of the women involved were also active in the abolitionist and temperance movements. Many of the leaders are known to us: Susan B. Anthony, Elizabeth Cady Stanton, Alice Paul. But the century-long struggle involved thousands of women, in virtually every state, who didn’t give up their dream or compromise their principles. Finally, on August 26, 1920, the 19th Amendment to the Constitution was ratified, granting American women the right to vote. Tennessee became the state that gave the amendment its required 3/4 of the states. And, odd as it now seems, Mississippi didn’t finally become the 50th state to ratify until 1984. That’s right, 1984. Mississippi, you must be so proud. He's a drug-addicted, misanthropic perfectionist. Which makes him the most interesting doctor in television history. Uploaded by wallpaperweb.org. You have to admire any show that defies the stereotypes, and House accomplishes what many would have thought impossible – making the lead character a thoroughly rude and unlikable doctor. Gregory House’s mission is to “diagnoses the undiagnosable” – while being one of the biggest egomaniacs in television history. 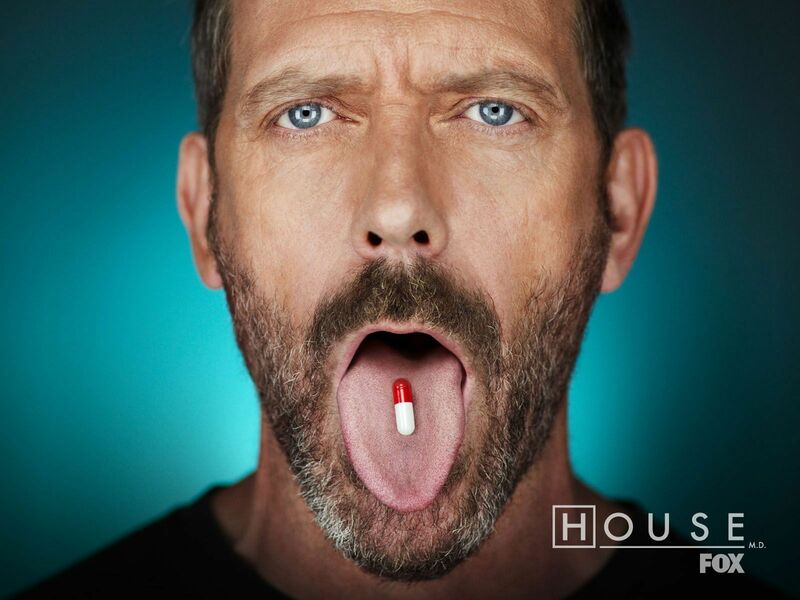 House is not only given a physical handicap in the show, but is also addicted to Vicodin. He takes only the cases he finds interesting, much to the chagrin of hospital administration and fellow doctors. And he comes within a breath of killing all his patients (who he treats with general disdain) before finally finding the amazing cure at the last moment. House M.D. premiered in 2004, and has been a consistent favorite of both fans and critics ever since. It has been a top 10 show for several seasons, and a top 20 show the rest of the time. And it’s been the most-watched show on the Fox network. Want the most comprehensive coverage of business and financial issues? Time to subscribe to the Wall Street Journal. Uploaded by daveibsen.typepad.com. 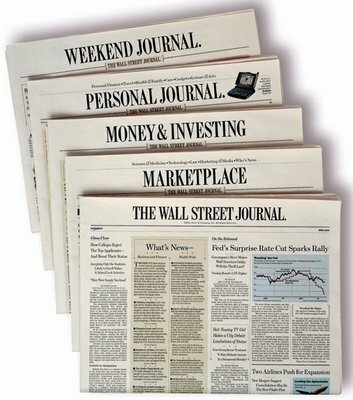 Since 1889, Americans have turned to the Wall Street Journal for its comprehensive coverage of financial markets. Published by Dow Jones, and now owned by News Corporation, the Journal is the daily bible of American business. Perhaps no American paper is as visually distinctive and iconic as the Journal. It’s known for its strict columns, the ink dot drawings, the “What’s News” digest. The front page says, You’re going to find serious information in this paper. The Journal has an outstanding reputation for journalistic excellence, demonstrated by its 33 Pulitzer Prizes earned since 1947. And it’s the editorial home of one of my favorite commentators on American life and politics, Peggy Noonan. 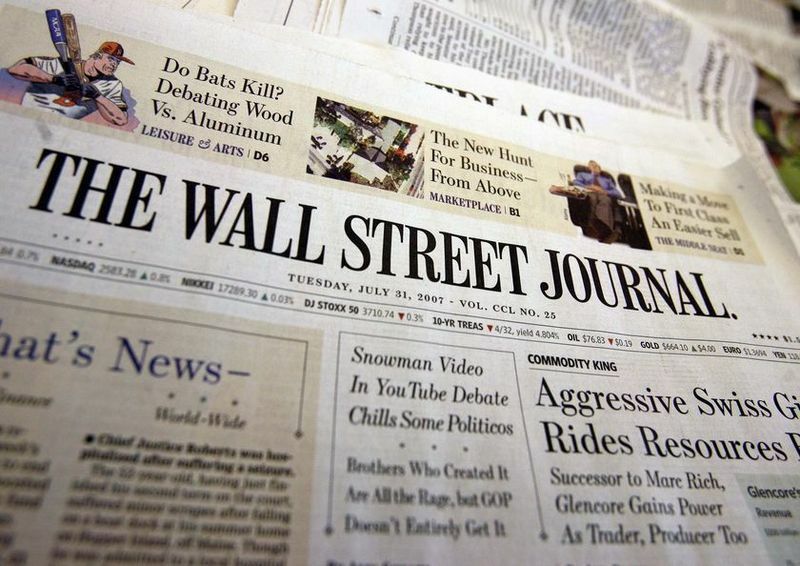 You may not know it, but the WSJ is America’s largest daily newspaper by size of circulation. It has more subscribers than number two (USA Today), and more than twice as many subscribers as number three (The New York Times). 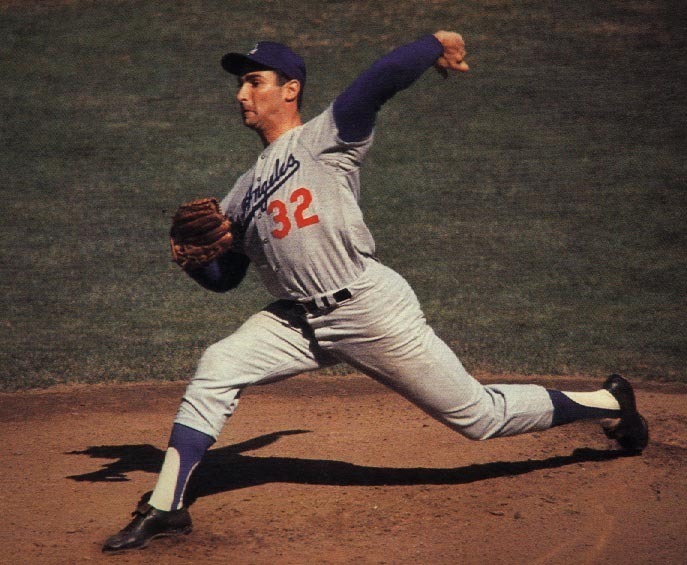 Here's the Koufax math: 1 MVP + 3 Cy Young awards + 4 no-hitters + 1 perfect game = 1 outstanding career. Uploaded by opposingviews.com. 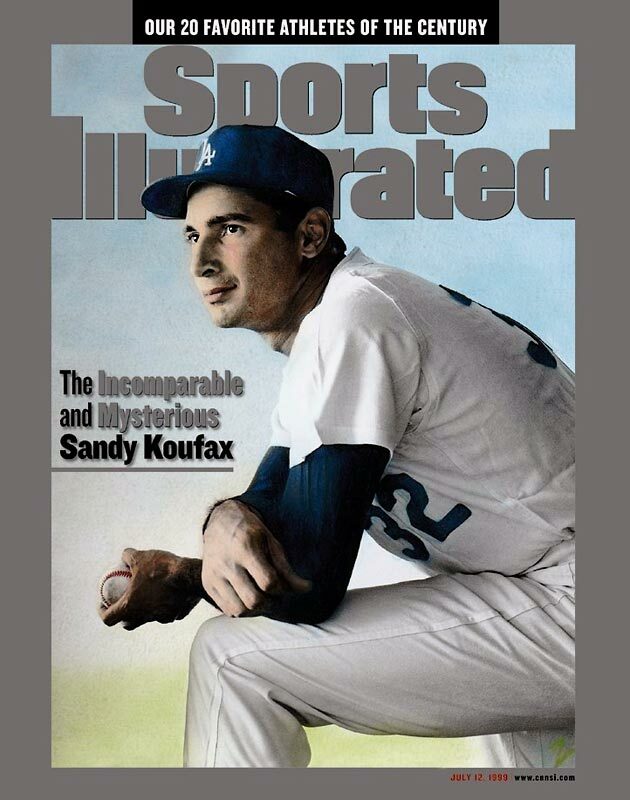 Beyond his baseball exploits, Koufax earned a special place in American life by making a stand for his Jewish faith. The first game of the 1965 World Series, pitting Koufax’s Dodgers against the Minnesota Twins, happened to fall during Yom Kippur. Koufax would have pitched Game One, but chose to observe his religious holiday instead. The Dodgers lost, and fell behind in the Series two games to zero. But Koufax came back to win Game Five, and then won the deciding Game Seven though pitching on just two days’ rest. He earned his second Series MVP award for his efforts. 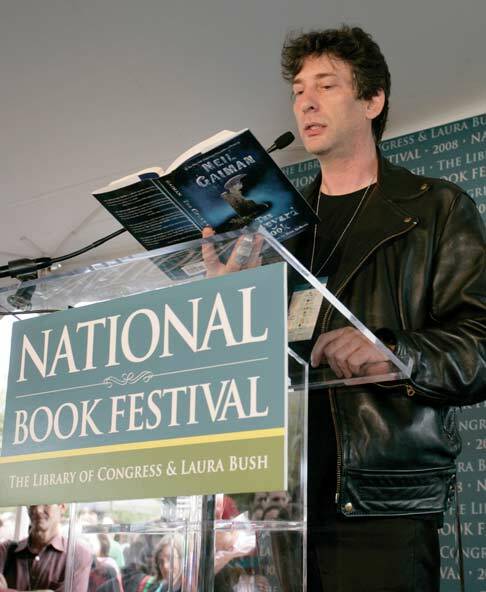 About 75 authors and more than 100,000 book lovers will converge on the National Mall later this month in a celebration of the written word. Uploaded by theepochtimes.com. It’s a book lover’s paradise. Held each fall on the National Mall in Washington, the National Book Festival brings over 100,000 fans together with dozens of noted authors in a weekend celebration of the written word. 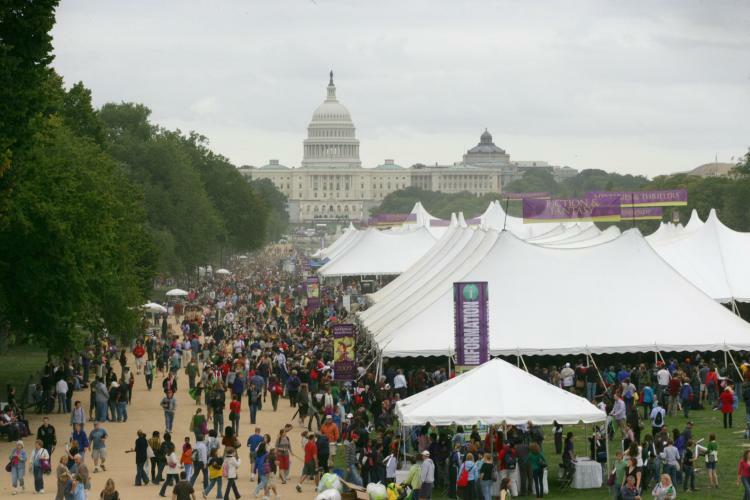 Sponsored by the Library of Congress, 2010 is the Festival’s 10th anniversary. There are special sections devoted to children’s books, popular fiction/mystery, contemporary life, history/biography, poetry/prose, and teens and children. Among the more notable authors attending are Jules Feiffer, Isabel Allende, Ken Follett, Diana Gabaldon, Martha Grimes, Karin Slaughter, Peter Straub, Scott Turow, Jonathan Franzen, Brad Meltzer, and Katherine Paterson. Among the activities at the Festival are interviews, readings, signings, and lectures. And, as you might expect, lots of reading-related programs throughout the weekend to entertain children and families. This year’s festival is Saturday, September 25. If you’re a reader living anywhere near D.C., this is an opportunity you shouldn’t let pass you by. 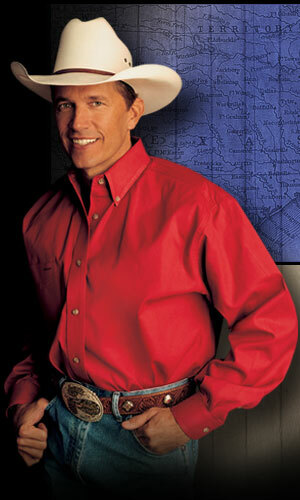 No one, in any genre, on any chart, has more number one songs than George Strait. Uploaded by umgnashville.com. He didn’t seek a crossover to rock, as Garth Brooks did. And he didn’t get caught up in his own persona, as Hank Williams, Jr. did. 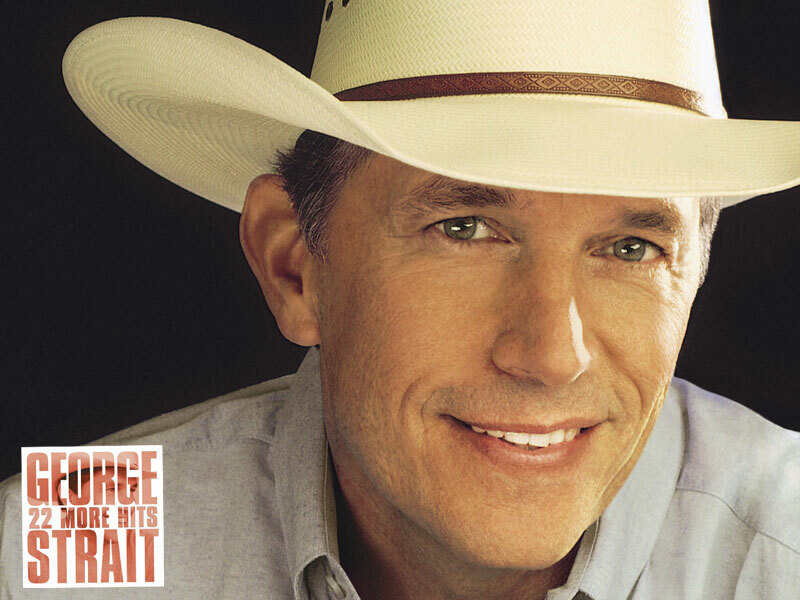 All George Strait has done is continue making pure country records that sell, sell, sell. He is one of the most-beloved of all country music artists. Look at these accomplishments: Strait had his first top 10 hit in 1981 (“Unwound”) and has had at least one top 10 hit every year since. He’s had 33 Gold albums, more than any other country singer. And he holds the record for most number one songs in any genre and on any chart – an amazing 57 chart toppers. Though he’s in his fourth decade in music, his popularity isn’t waning. He had the CMA Album of the Year and Single of the Year in 2008. And he’s nominated for Male Artist of the Year in 2010 and album of the year for Twang. He’s genuine, and authentic. If you want to know the essence of true country music, get his CD 50 Number Ones. It’s there. It’s all there. 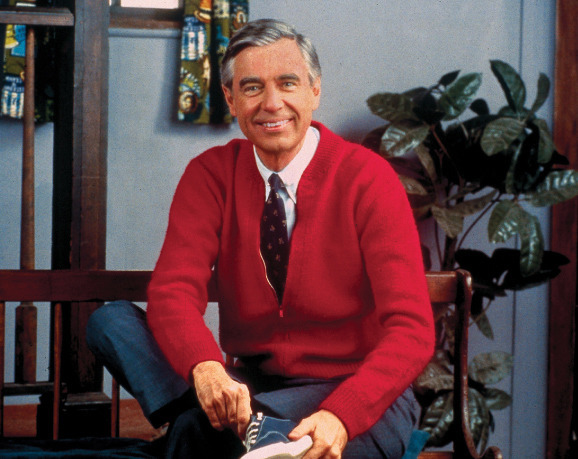 Fred put on his cardigan and changed into his sneakers for 895 episodes spanning parts of five decades. Uploaded by pre.cloudfront.goodinc.com. The changing of the shoes. The putting on of the sweater. The singing of the theme song. All these images are part of our cultural history – the sweater is now in the Smithsonian. But what we all remember most about Fred Rogers is his gentle and patient spirit, which made his show a safe place for kids to visit. 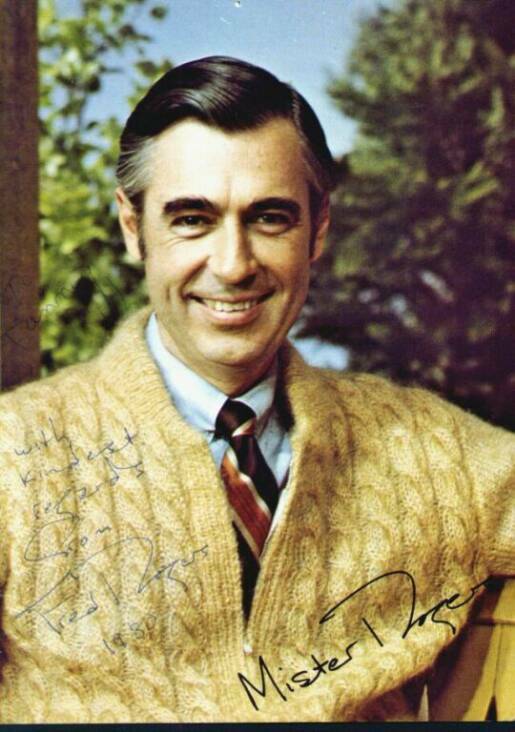 Mr. Rogers’ Neighborhood (originally Misterogers’ Neighborhood) originated in Pittsburgh, and appeared on television from 1968 to 2001. PBS broadcast all but the first couple of seasons, which originated on the defunct National Education Television network. 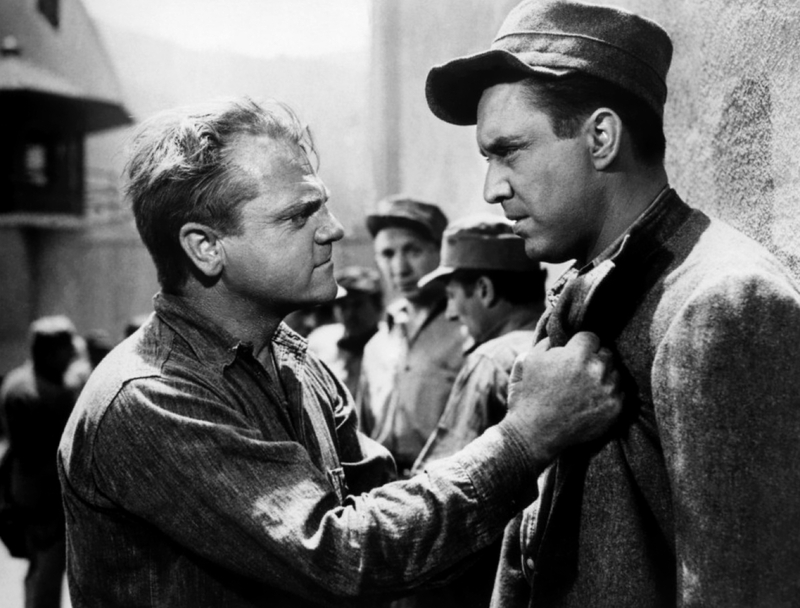 Cagney got his reputation as a tough guy in films like White Heat and Angels with Dirty Faces. He was glad to get the role of George M. Cohan in Yankee Doodle Dandy to dispel it. Uploaded by plumasdecaballo.com. I’m probably not alone in remembering Jimmy Cagney primarily as a tough guy. His role in The Public Enemy no doubt implanted that notion in our minds. But in reality he was a tremendously versatile actor, and one of the most talented song-and-dance men to ever perform on film. Cagney started out with the typical Irish-American upbringing of his period. His dad was a bartender; Cagney was born in a room above his father’s saloon. He had six siblings, was a noted street fighter, became an accomplished tap dancer and yet played semi-pro baseball. Cagney starred in more than 60 movies, chief among them: Angels with Dirty Faces (1938 – Nomination), Yankee Doodle Dandy (1942 – Oscar), White Heat (1949), The Seven Little Foys (1955), Mister Roberts (1955), Love Me or Leave Me (1955 – Nomination). 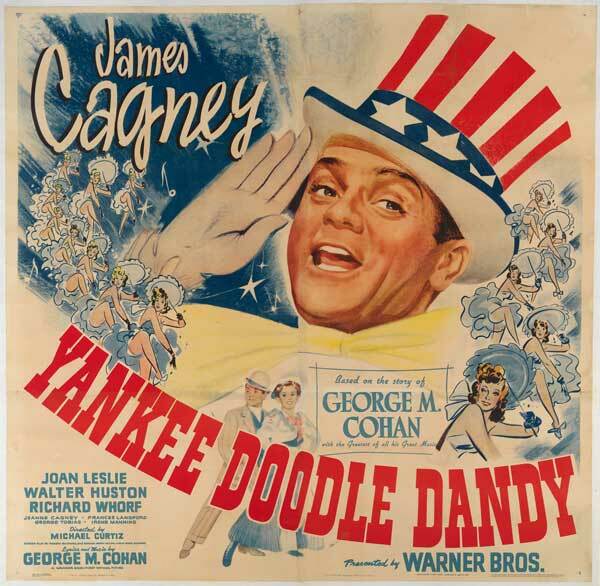 Cagney considered George M. Cohan in Yankee Doodle Dandy his best role, and was especially pleased at the opportunity to free himself from the tough guy image the studios had built for him. If you haven’t seen him sing and dance in this film, you really should – it’s a revelation. Peanuts, nougat, caramel, and chocolate in a candy bar that's sold more than any candy in history. Uploaded by donstuff.wordpress.com. Here’s one of those rare topics where not much needs to be said. If you like candy bars, especially if you like peanuts, you love Snickers. It’s ranked as America’s fourth-favorite candy, behind M&Ms, Reese’s Peanut Butter Cups (Great American Things, March 14, 2010), and Hershey chocolate bars. 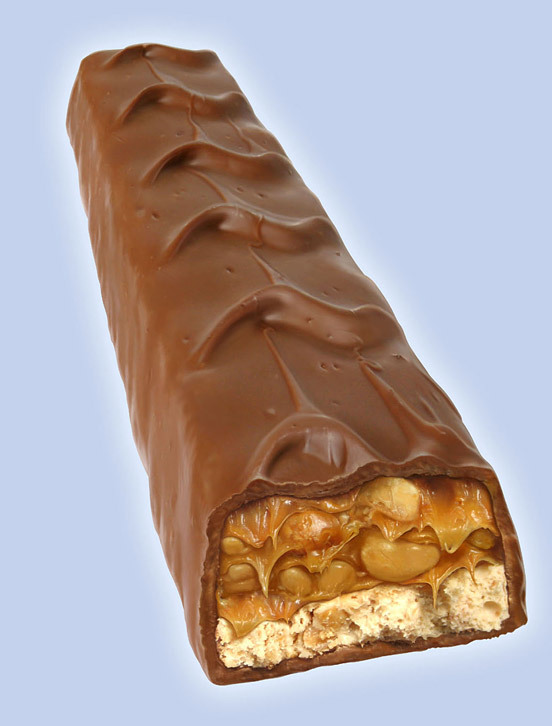 Snickers is the best-selling candy bar of all time, largely because it has been popular ever since its introduction in 1930. 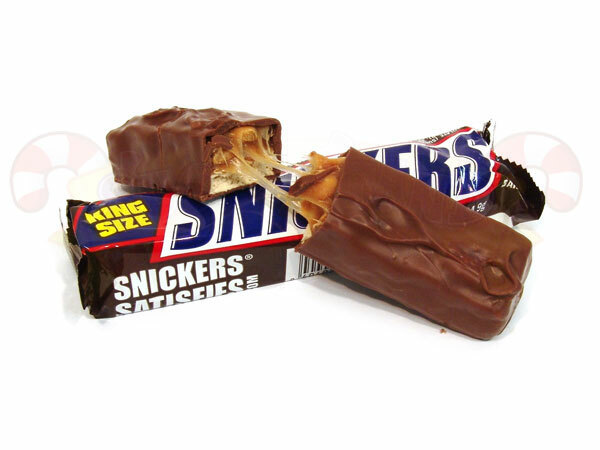 Made by Mars, Inc., Snickers was named after the Mars family’s favorite horse. And while you can now buy Snickers ice cream, Snickers dark chocolate, and dozens of other extensions, there’s nothing quite as satisfying as the thick chocolate and nougat and peanuts in the original. One good way to enjoy Snickers is to buy an extra bag of the miniatures for Halloween. Then when the kids don’t show up, you have the bag for yourself!